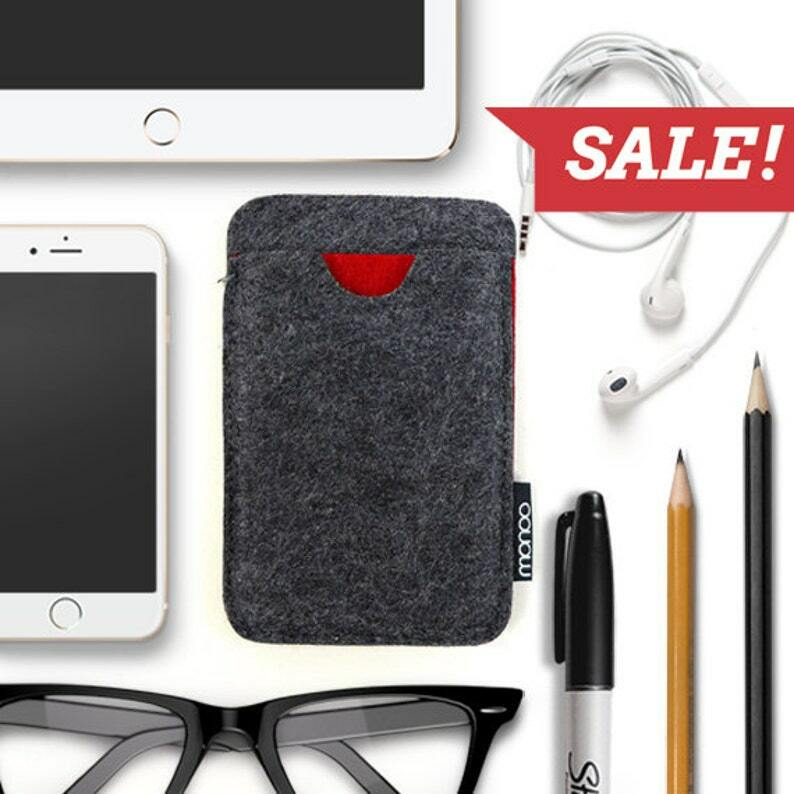 Keep your world at your fingertips with our Felt iPhone Case. It fits an iPhone and has a handy slot at the front for your credit cards. The fabric is quite durable and environmentally friendly. Select from Dark Gray/Red and Dark Gray/Green. It also matches our Felt iPad Case.